Add these whimsical kitchen canisters to your coffee bar and enjoy the whimsical charm. Inspired by Alice in Wonderland, I designed these with you in mind and know they will bring a joy to your home. If you are witty and fun, like a good laugh and make others smile, pick your favorite quote and jar size during check out. Choose if you want the set or just one piece. Lettering is hand cut high quality vinyl. Our ceramics are made in stages. They begin as clay and are cast into a mold and fired at high heat to form bisque. Then it is painted and decorated with paint and/or glaze, again to go through the kiln and fired a second time to a higher temp so the glaze will mature. It takes approximately another 24 hours to cool. Sometimes the crystals in glazes from another item pop while in the kiln. While we work tirelessly to be perfect, sometimes it happens. 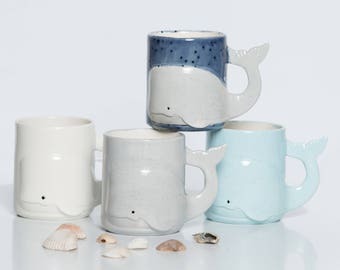 We call these happy accidents & adds to the handmade, uniqueness of your ceramic. Each individual ceramic piece is painted by hand (mine!). Join Creativity Happens mailing list here: http://www.VIP.CreativityHappens.com & grab an extra 20% off. As Seen On: ABC, NBC, CBS, TheCW, The Frugal Crafter, Sunshine Artist, The Boston Globe, The Miami Herald, Apartment Therapy, YahooFinance and other fun places. I love my new canisters! They are simply adorable! Exactly what I was looking for...unique and the perfect touch for my kitchen! Super cute, but not a real white. Slightly disappointed because it's more of a beige color. 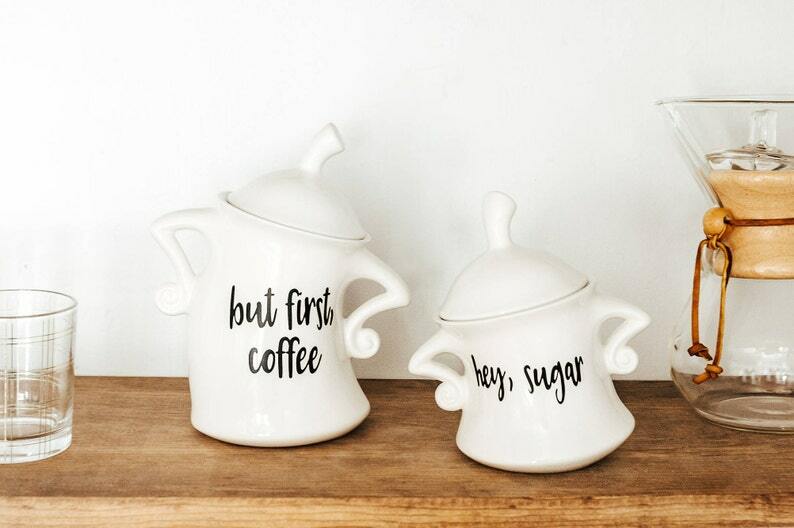 Mom’s coffee bar came out perfectly thanks to these amazing canisters, they’re works of art.